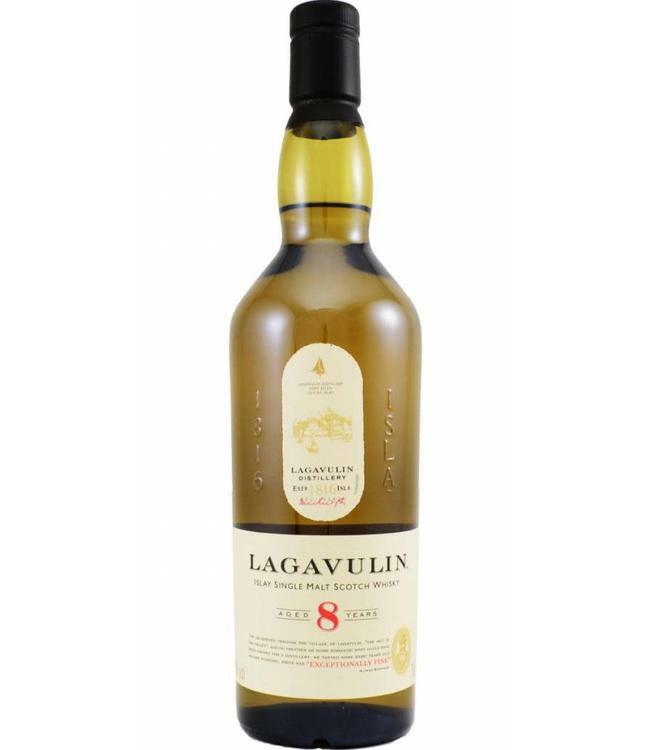 One of the classic Islay brands, Lagavulin. This 8-year-old standard bottling is a good example of the distillery character: the smoky, medicinal / salty tones of Islay in addition to those of fruit, vanilla and seafood. And that at a hefty 48%.